So many of my couples amaze me at their openness to shoot under any conditions. 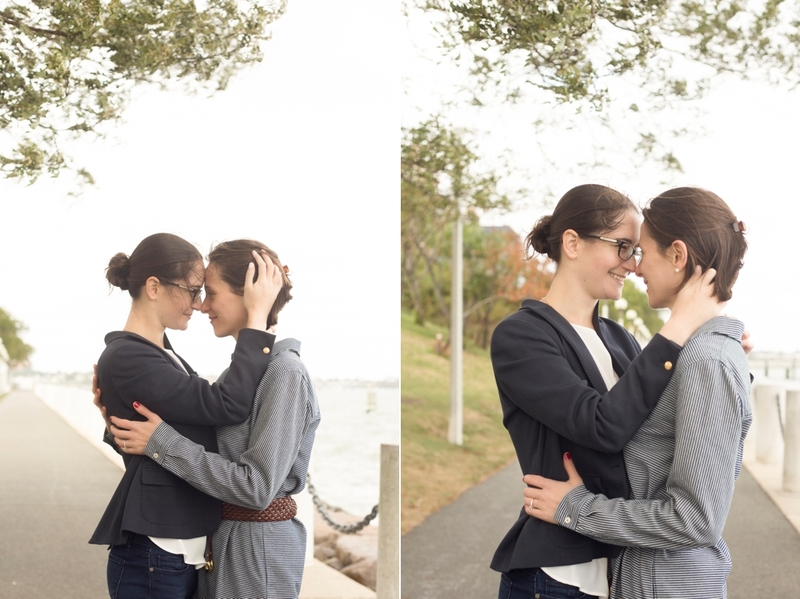 I met Kim and Ashley at the JFK library on a very blustery fall afternoon and despite the whipping winds and how chilly it was by the water, they embraced it and each other. Ashley and Kim showed me this part of the Harborwalk I had never seen and this little part of the world they love to spend time running or walking. One of the best parts of my job, is being able to see all these special places that my couple choose for shoots, it is always something I highly encourage, choose a place that you love or means something to your relationship. 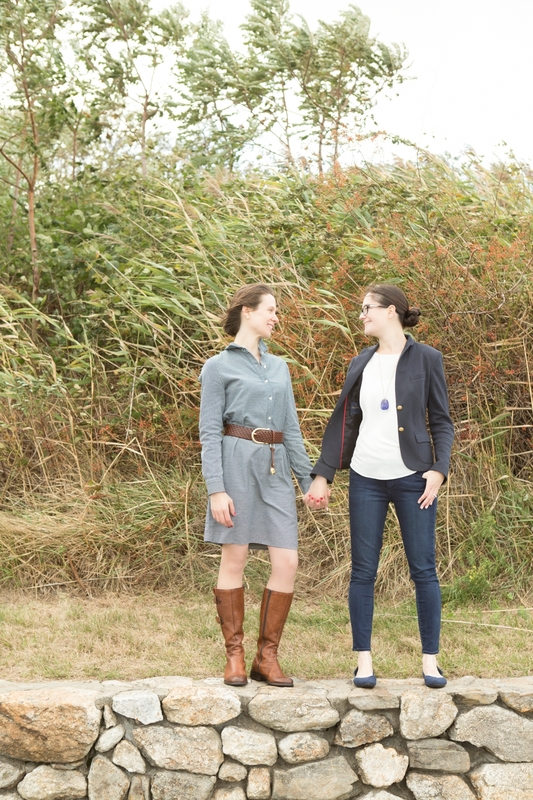 Ashley and Kim were relaxed and looked right at home of this quiet stretch along the water. And bravo for being such sweet sports!